It's that time of the season, as The Zombies sang, but in this case, it's not just for love, it's for cookouts. Whether you have a gas grill, a Foreman grill, or the classic old school grill that you can fill with your choice of charcoal briquettes or wood, the time is ripe for outdoor cooking and fun fresh wine. Almost every country has recipes built around the idea of putting food to the fire. Direct flame was, after all, the first method we had of cooking, and it has been passed down through generations of peoples and technological innovation, but the principle has remained the same. Charred meat or vegetables bring out our most primal satisfaction. Because of the format, beer has often been the alcoholic beverage of choice-- who would be tending a grill with a Bordeaux glass when they could hold an ice cold aluminum can full of sessionable amounts of alcohol? Still, wine has always deserved a seat at the table. The ever fresh zip of New Zealand Sauvignon Blanc has made it a summer staple, especially given beer's reputation to build a gut. So, we thought we'd put together a primer on four wines we think deserve a spot on the table for your next outdoor (or indoor, if that's your option) barbeque. First, we're not going to hate on the classic Sauvignon Blanc pick if that's your thing, but we thought we could do you one better with the Martha Stoumen Post Flirtation White. Martha is one of our favorite winemakers in the United States- she's committed to making wine as natural as possible, working with select vineyards to avoid as much intervention as possible. This is her first year on her own making white wine, and the Post Flirtation White is everything I want out of a white wine. It's a blend of 70% Marsanne, 18% Muscat Blanc (aka Muscat Canelli) and 12% Roussanne. 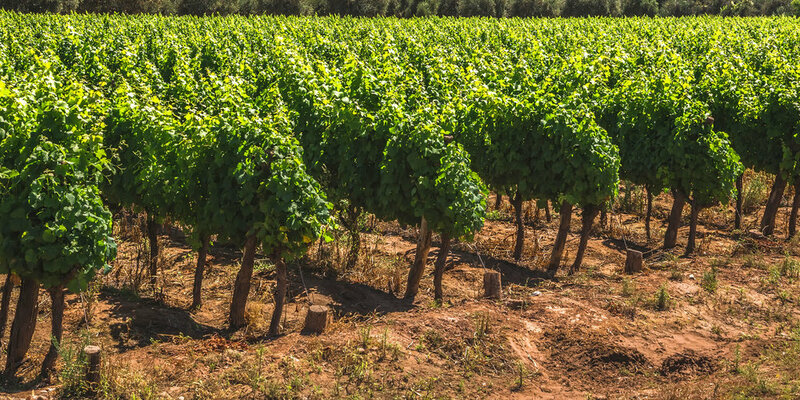 More often then not, you'd find Marsanne and Roussanne paired off with Viognier, what those in the wine world call a high gravity grape because it fleshes out the light and bright fruit of the former two. And, yes, Muscat can indeed be sweet, but when made dry its aromatics bring a subtle depth to the wine without any of the potential cloying nature. (We're also particularly fond of pairing her Post Flirtation Red- itself a 55/45 Zinfandel Carignan blend with chicken sausage). Before we go on to our next pick, we'd like a word about rosé. There's no denying that rosé is one of the largest phenomenons in the wine world over the last 10 years, but after all that time people are still scared of a dark colored rosé. We understand that in years past, that plush color was reserved for White Zinfandel, and White Zinfandel is unquestionably sweet, but sometimes dark grapes are just dark grapes. We've tasted many a rosé that pour a perfect salmon pink color, only to be replete with a cloying, jolly-rancher type sweetness. The trick, is that this sweetness is governed more by temperature and when the grapes themselves are picked. To help illustrate the concept, we've picked the Succes Patxanga, a rosé that is made in Catalonia in the small Conca de Barberà D.O. Catalonia is undoubtedly hot, Trepat is a dark colored red, but the killer feature of this wine (beside the fun watermelon adorned label) is just how light and dry and fresh it is. What is Trepat, exactly? 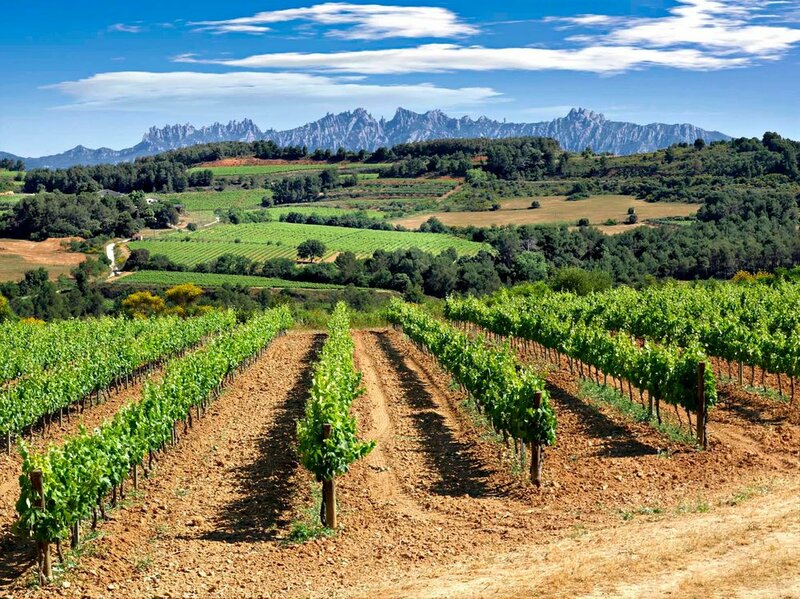 It's been likened to being called Catalonia's Pinot Noir for its light and dry character. The other great aspect of Trepat, and what makes this rosé so killer is the natural acidity. So, for those of you keeping score at home, the key to finding a rosé that's fresh is to find ones with grapes that have a good amount of acidity to them. And if you're looking for another option with a more full character, we highly recommend the Regina Viarum Petali Rosato made with Primitivo. Head some 764 kilometers northeast over the Spanish border and you'll find yourself in Beaujolais where Gamay has been making a revival of its own. No longer just the young grapes that are used for Beaujolais Nouveau, Gamay produced in Beaujolais is fast becoming the Burgundy alternative, and we've slotted the Roland Pignard Régnié AOC. This is the wine for all of the Beaujolais doubters out there that think the wines are only capable of a little light fruit and not much else. Both Demeter and organically certified, this bottle from the Régnié cru of Beaujolais is macerated whole cluster, giving it just the right amount of tannic structure, and is a bonafide culinary treat that's equally appropriate with brisket, short rib, or for a piquant option, five spice marinated pork ribs. We'll call it the dark horse of our lineup. The vineyards for Mi Terruño in Mendoza, Argentina. Of course, any good barbeque has the crowd pleasers from your classic hamburgers and hot dogs to good ol Cabernet Sauvignon and Malbec, and we're featuring the Mi Terruño Cabernet Sauvignon and the Mosso Finca Malbec which will satisfy all of the cravings of those wanting something extra full bodied to go with their red meat (or stuffed Portobello, if vegetarian is your thing). Both come to us from the prominent Mendoza Valley in Argentina, and have just the right amount of oak aging to keep the fruit vibrant without going too goopy.